Item Descripton: Farm Girl Vintage by Lori Holt of Bee in my Bonnet for Riley Blake Designs is great for quilting, apparel and home decor. 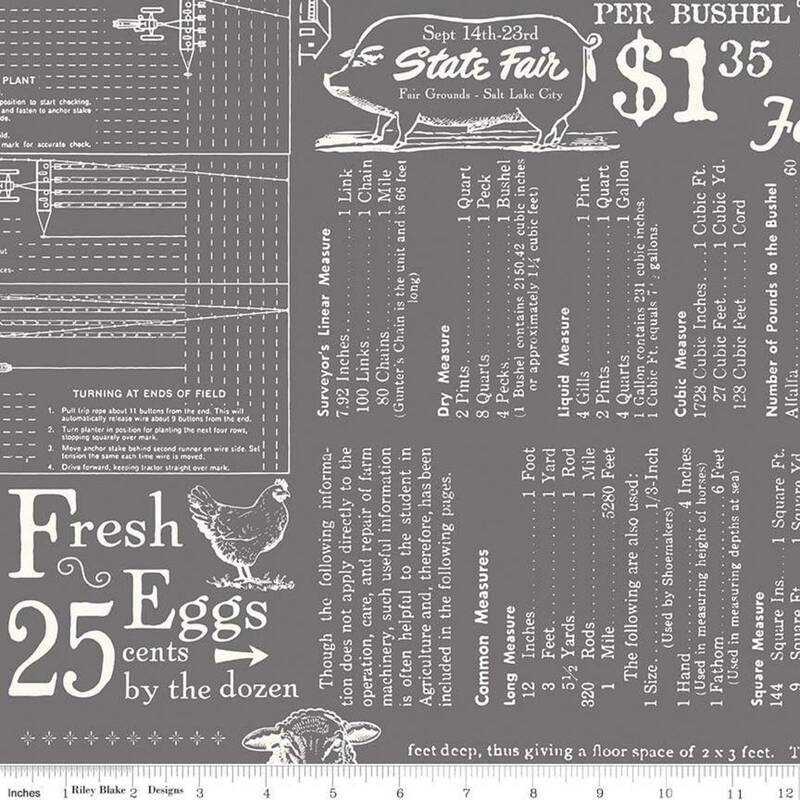 This text print features farming ads, sayings, and illustrations. It's 107"/108" wide to accommodate most quilt backs.